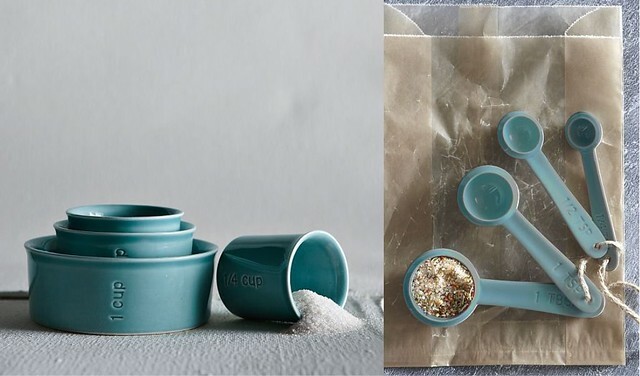 I find these measuring cups and spoons from West Elm just lovely. What a treat for ingredients to jump into what looks like the mediterranean sea before they are all mixed up together. I'll take one of each please. I like your new banner and you can never have enough measuring cups and spoons!